Posted September 5th, 2006 by Formtech Composites & filed under Formtech News. Formtech Composites was created in the ex-Super Aguri F1 Team (SAF1) and ex-Arrows Grand Prix International based at Leafield Technical Centre in Oxfordshire, UK. 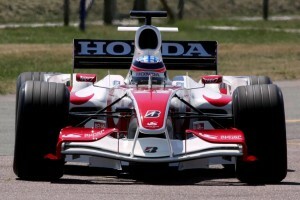 The Intellectual Property of both Arrows Grand Prix and Super Aguri Formula One teams were part of the purchase and for the basis on which Formtech has built it’s engineering knowledge base. This IP allows Formtech to provide a unique service to clients based around proven designs. For example, the design and testing of FIA crash tested noseboxes, monocoques and many other elements can be quickly engineered at the highest level. Research and Development in composites using techniques developed in Formula One such as acoustic emission NDT techniques provide invaluable insight in the development of lightweight composite structures.